Most people agree that the planet Earth offers some really beautiful places to visit, especially if you enjoy travelling. However, beautiful landscapes and astonishing landmarks are not the only thing that our world has to offer. There are also some places which would scare or freak out even the toughest of us. Here are the creepiest places in the world, some are haunted, abandoned, mysterious, weird or even deadly dangerous to visit! This forest is located at the base of Mount Fuji in Japan. Because it has become quite a popular suicide spot, they had to put up signs which say things like “think of your family” and “life is a gift”. People say that it is the perfect place to die, although it is the world’s second most popular place to take one’s life. The first most popular place is the Golden Gate Bridge. In 2002, a record number of 78 suicides occurred. 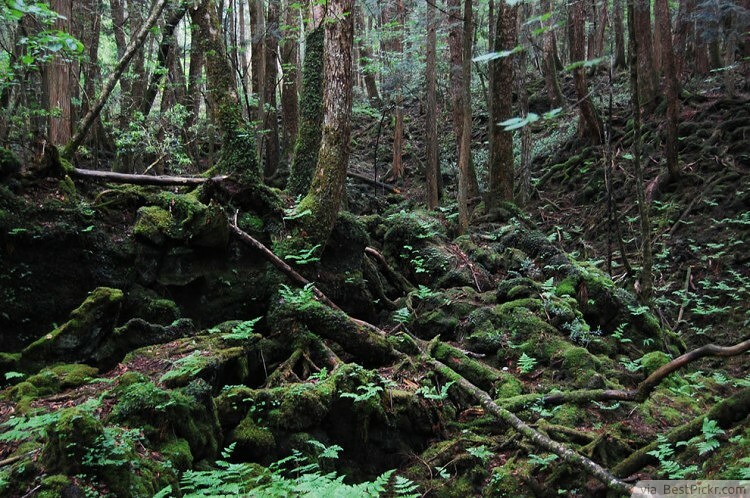 Japanese spiritualists believe that the suicides which occurred in the forest have actually affected the trees, creating paranormal activity that prevents most people who enter from escaping. It is unusual that compasses don’t work in this forest because of the magnetic iron in the soil. 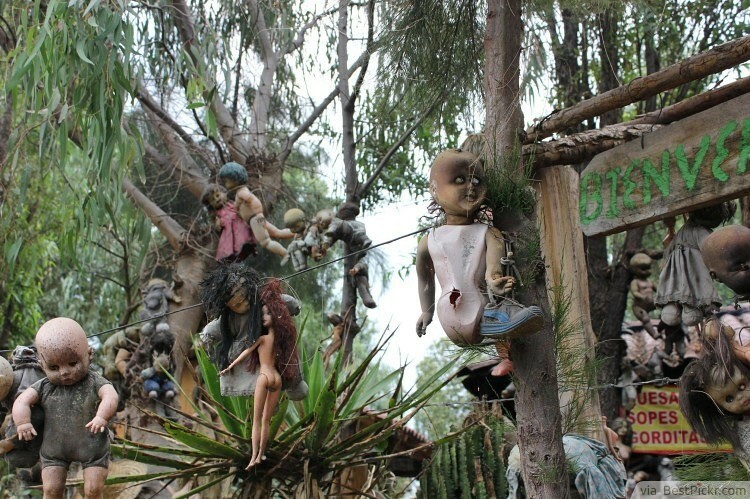 One of the most creepy places to visit is Candido Godoi - a town located in the south of Brazil. The twin birthrate in this place is 18 times higher than the world average. The specific cause of this remains unknown.However, there have been speculations that Nazi doctor Josef Mengele caused this through his experiments. He performed experiments on Auschwitz prisoners so that he could find a way to rapidly expand the Aryan population in Germany. After the war, he fled to South America and continued with his experiments.Historians deny this. They attribute the town’s high twin rate to toxic waste or inbreeding. 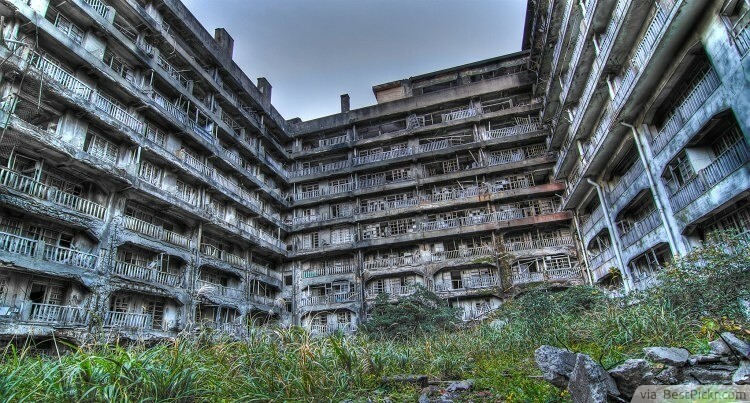 The Japanese island Gunkanjima resembles a fortress. 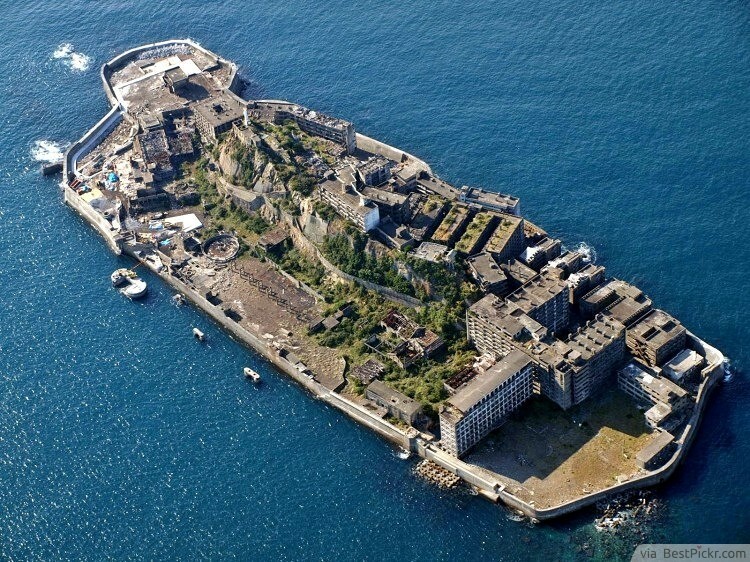 Many people also call it the Battleship Island, because it also resembles a very large ship. The entire island is surrounded by walls. The buildings were built extremely close to each other, which is something that amplifies the island’s reputation of a ghost town. This coal mining island is located just off the coast of Nagasaki and it has been inhabitated for over forty years. Almost six thousand people lived there in the 50s, which gave it the highest population density in the world. However, at some point the coal ran out. The mines were closed down and the inhabitants abandoned the island. 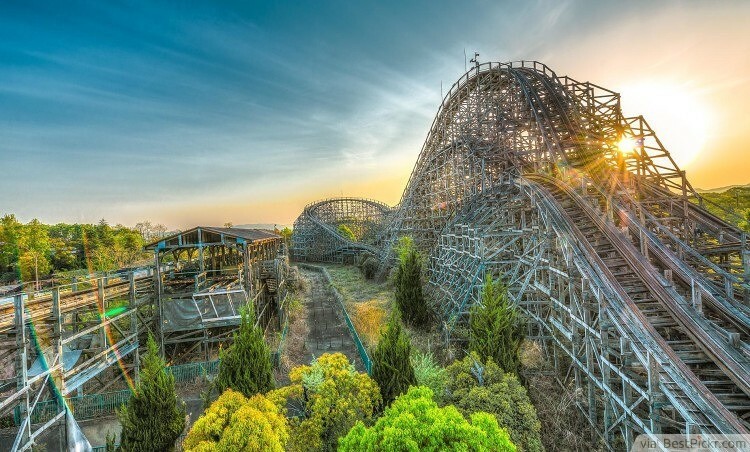 The Japanese Takakonuma Greenland Park is an enormous amusement park which was built in the 70s. Since then, it has become extremely overgrown. Even though it is only 250 kilometers north of Tokyo, it doesn’t appear to be featured on most Japanese maps. It was built in 1973 and its first run lasted for only two years. Some speculate that it was closed because it was heavily in need of repairs. 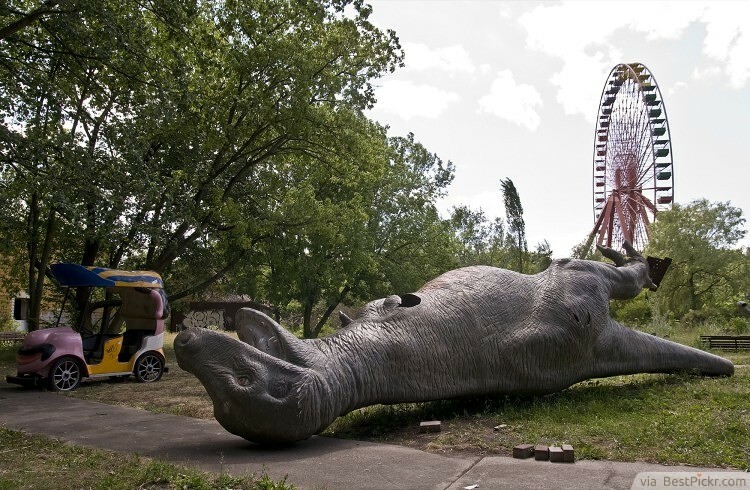 However, the general public believes that the real reason behind the park being closed was the unusual amount of deaths which had occurred there. They reopened the park in 1986, but it was shut down permanently in 1999. The park is near Fukushima, which went through a nuclear disaster in 2012. Even if it had not been closed in 1999, it certainly would have been among the most creepy abandoned places after the recent disaster. 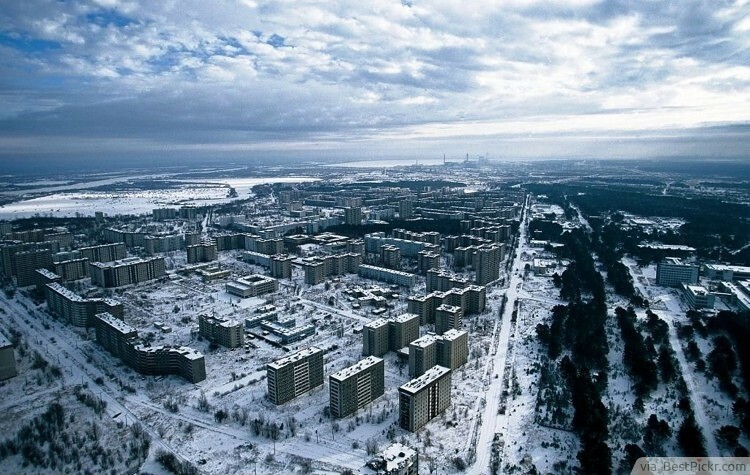 The Ukrainian city Pripyat was evacuated several days after the Chernobyl disaster. It was once inhabited by more than 50 thousand people. It is now completely abandoned. 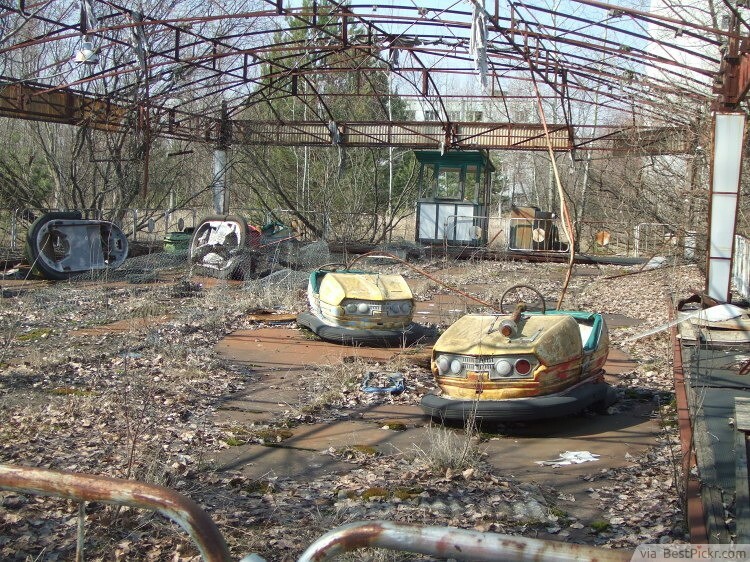 Pripyat is very commonly known as The Zone of Alienation. 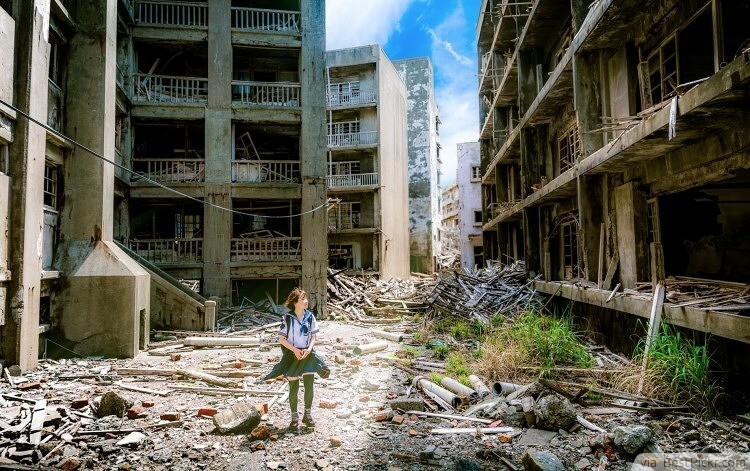 The landmarks and buildings which were left behind now act as a ghastly reminder of a horrible disaster and a time that has passed a long time ago. 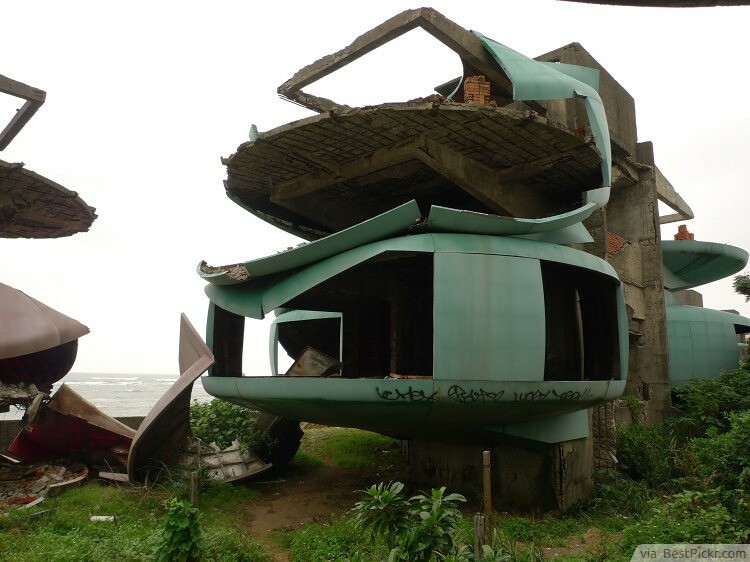 During the 70s, a set of futuristic buildings were built in Taiwan, named the San Zhi Resort. However, they were abandoned before they actually opened. This happened because numerous people died in disastrous accidents. There were also many deaths due to car crashes on the roads outside of the resort. The government of Taiwan refuses to release the actual numbers of the casualties. They also avoid any kind of discussion regarding this resort. It is unusual that they still have not demolished these buildings. 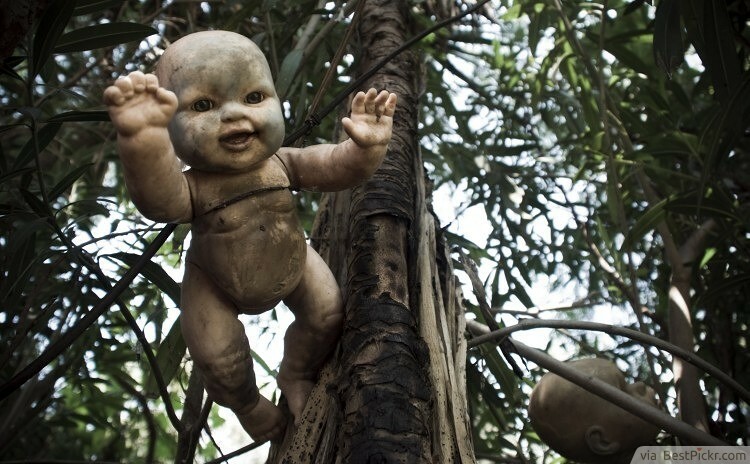 The Island of the Dolls earned its eerie name and description due to the hundreds of dolls which are tied to trees, spreading across the island and creating a rather disturbing landscape. One man did this: Don Julian Santana Barrera, a fact which is both disturbing and relieving. Don Julian was the sole inhabitant of this island. According to various stories, he discovered the remains of a young girl who had drowned. Later on, he found her doll which was floating in the water. He decided to tie it to a tree. 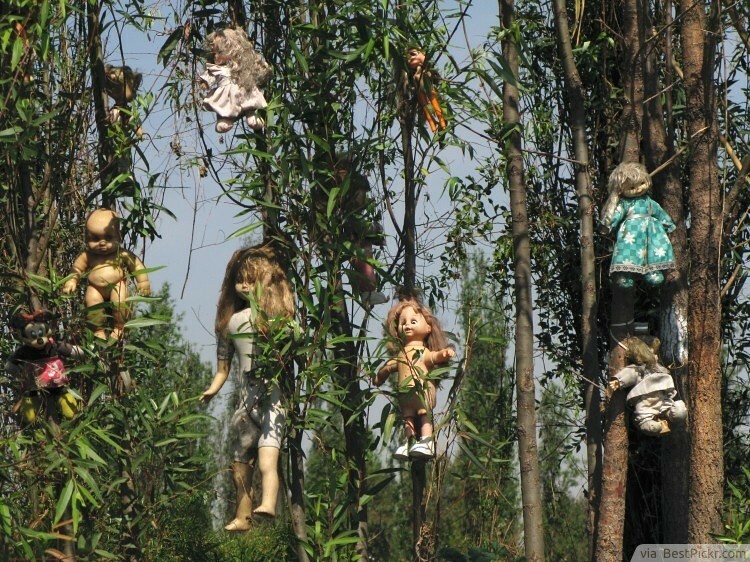 After that, he continued to decorate the entire island with more dolls that he had found in the nearby canals. He died in 2001. Many people speculated that he had committed suicide because he had eventually driven himself insane. Apparently, he drowned in the same location where he had found the girl. Kabayan are a series of caves which are located in the Philippines. The caves are filled with mummies. 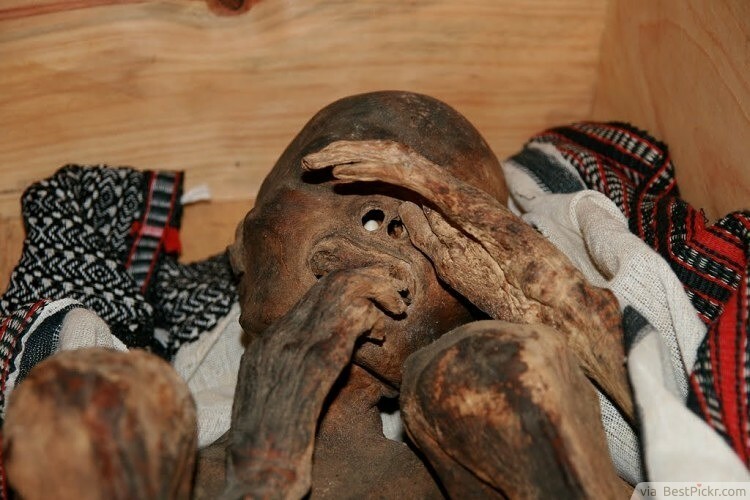 Some say that they are some of the best preserved mummies on the entire planet. 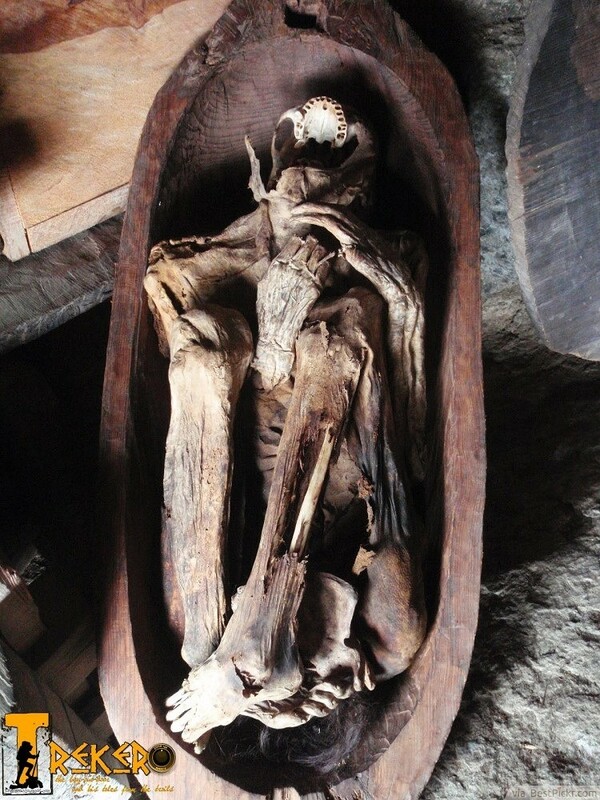 There are thousands of mummies scattered through these caves! A completely normal village is located around Kabayan, where people happily live their lives – that is, until the entire creepy haunted place transforms itself into a horror novel and the dead begin to come back and enjoy a little bit of human lunch. 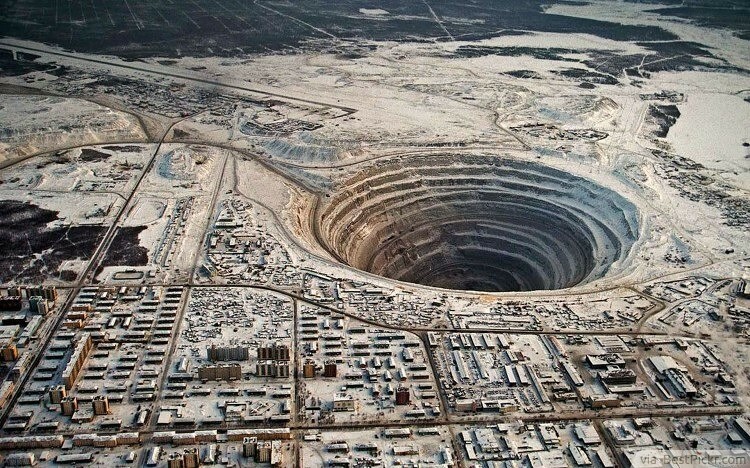 Excavation in the Russian Mirny Diamond Mine began in 1995. On the day of its closure, it was 525 meters deep and 3900 feet wide. Such a size made it the second largest man made hole in the entire world. 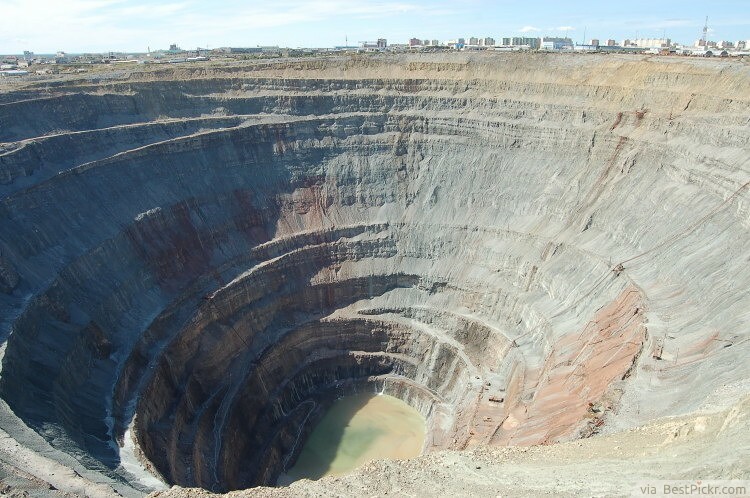 Joseph Stalin, then leader of the Soviet Union, ordered the construction of this mine to produce diamonds. During its most productive years, the mine produced about 10 million carats of diamonds annually. No one ever really knew how it was able to do so well. The mine was permanently closed in 2004. 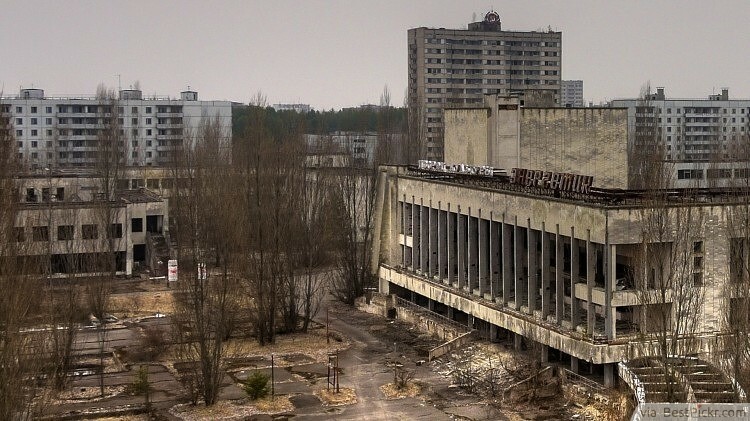 The most disturbing fact about this place is that, after its closure, it began to cause severe problems for passing air crafts, such as sudden currents and unexplained air temperature differences. Because of this, the air space above the mine is permanently closed. Whatever happened down there certainly has an effect on planes, which is something that most would find quite disturbing. 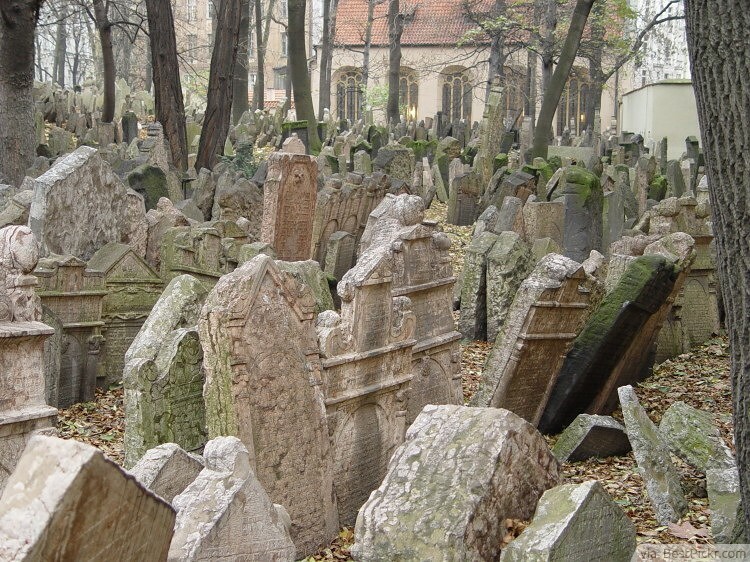 Most people are disturbed by excessively crowded cemeteries. 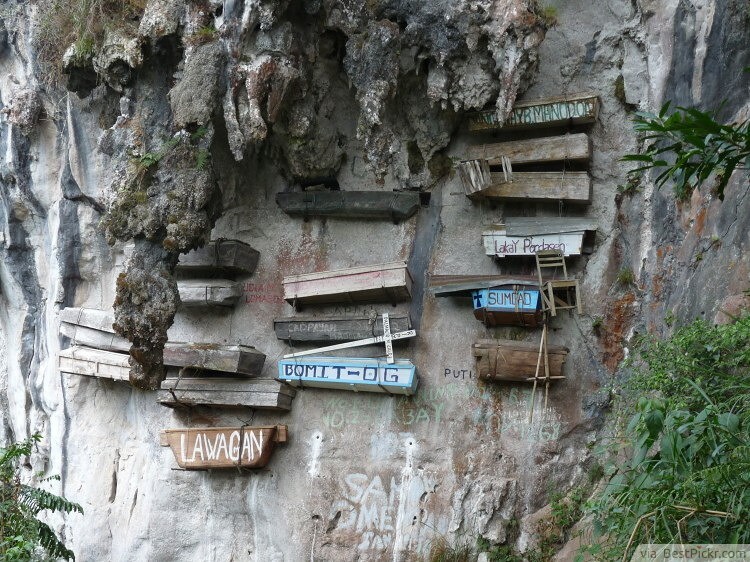 What would you say to a cemetery that has somewhere around eleven cemeteries piled on top of each other? 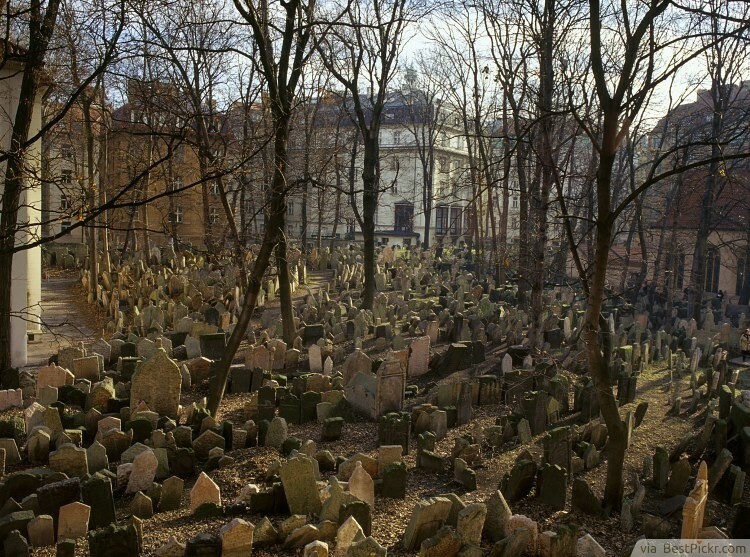 The Old Jewish Cemetery in Prague has twelve thousand tombstones. However, the number of people who were buried here is far greater. The cemetery was founded in the 15th Century. 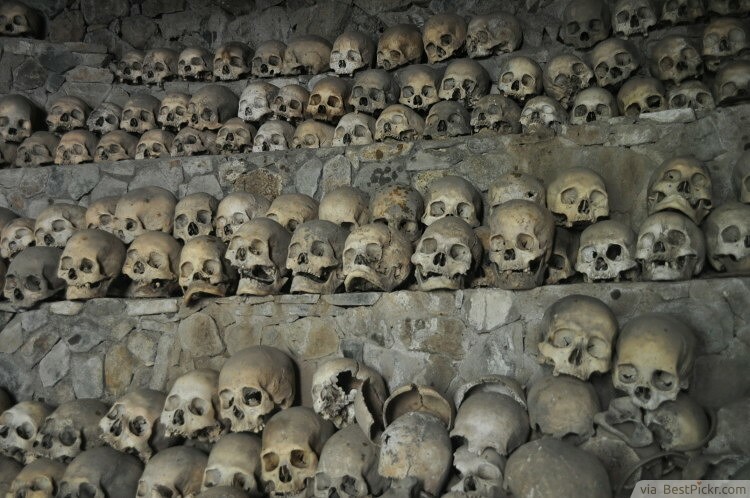 It is estimated that more than one hundred thousand graves are located here. There is only one reason for this: lack of space. 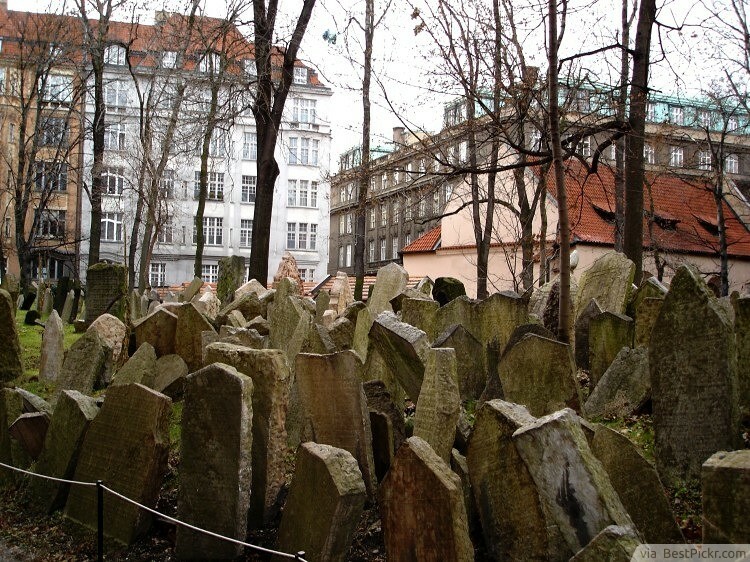 Jews who lived in Prague were forbidden to bury their beloved outside of their own district. Such a regulation left them with no other choice.